We issue your Maryland MVA Driver Improvement completion certificate and transmit your electronic certificate directly to the Maryland MVA. 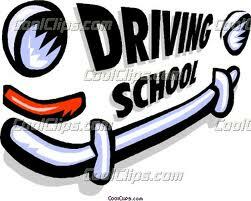 Maryland MVA Approved 36 Hours Driver Education Course with the MVA completion certificate. Maryland Approved Online 3-Hour Safe and Sober Education Program with the MVA completion certificate. For State certified 12-hour Alcohol Education Program (12-hour AEP) DUI/DWI Program, please contact Allover Healthcare Group or Call 443-759-8827. This program is certified by the Alcohol & Drug Abuse Administration (now OHCQ) as a level 0.5 early intervention DUI/DWI education program. Online Driver Improvement Program(DIP). Maryland Approved. These classes are typically offered every Saturday from 9AM-1:30PM with a lunch break. The cost of the class is $65.00 cash or money order. Those attending must bring their MVA a photo ID and MVA referral letter if they have one. Full payment is due the day of the class. This course is also accepted by other states in addition to Maryland. Please check with your home state. HOW TO TAKE THE ONLINE DRIVER IMPROVEMENT PROGRAM. NOTE: You cannot take the online driver improvement program if you are under 18 years of age. Please check the appointment dates and times for your convenience. PLEASE call to make an appointment once you complete the online program. OPEN: 10am 8Pm Monday thru Saturday. SILVER SPRING-DOWNTOWN: OPEN 8AM TO 9PM EVERYDAY BY APPOINTMENT. WALK IN HOURS: 4PM TO 8PM EVERY WEDNESDAY AND 3PM TO 5PM EVERY SUNDAY. Complete the necessary sessions 1 to 5 and print out your result. Come to one of our Testing centers to take the final Test. You must have your $60 and A photo ID to take the final test. WE TRANSMIT YOUR INFORMATION TO THE MARYLAND MVA ONCE YOU COMPLETE YOUR FINAL TEST SUCCESSFULLY.